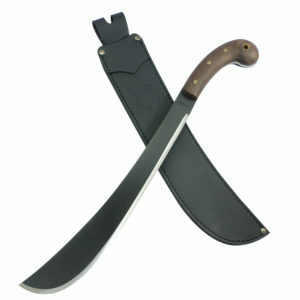 The Cold Steel Two-Handed 21 inch Bush/Latin Machete sheath is made from heavy duty Cor-Ex Cordura nylon and fitted with cross body adjustable back strap. 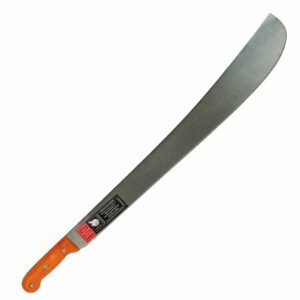 The tip is reinforced with hard plastic, the seams are taped and riveted and there is a snap enclosure for the handle. 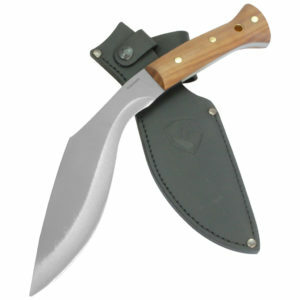 This sheath was specifically made for the Cold Steel 21 Inch Two-Handed Latin Machete, but may fit other 21 inch bush/Latin style machetes.